Danny Boyle - Image provided by Shuffle Festival. 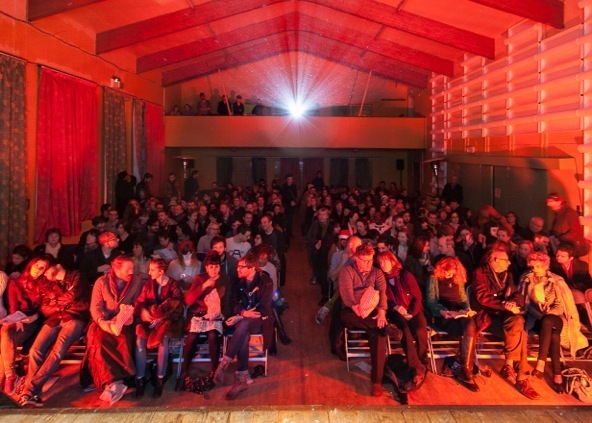 Cinema Tent - Image provided by Shuffle Festival. 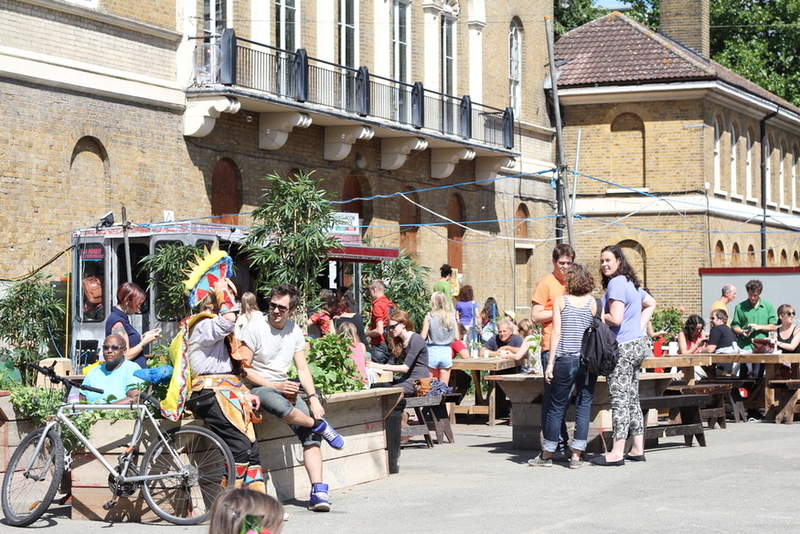 Festival cafes - Image provided by Shuffle Festival. 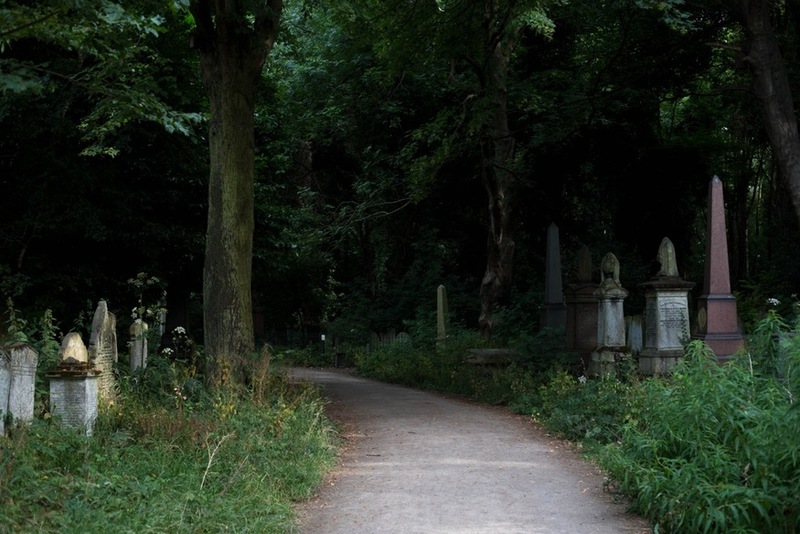 Tower Hamlets Cemetery Park - Image provided by Shuffle Festival. 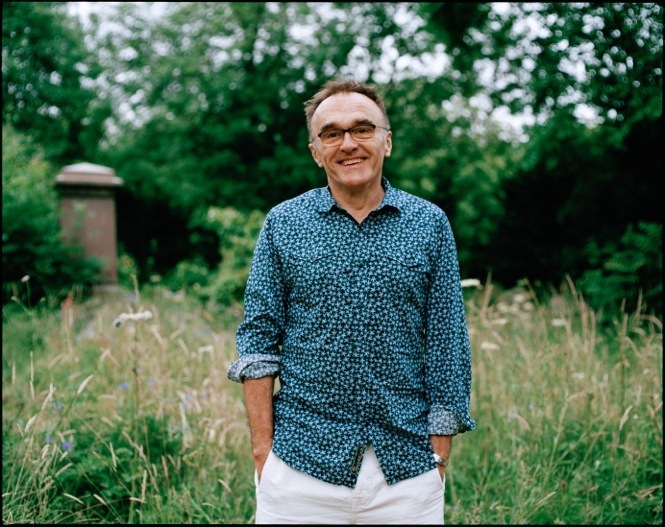 Danny Boyle's Shuffle Festival, focusing on 'interconnected' community and culture, makes its mark in East London for a second year — this time within Tower Hamlets Cemetery Park beginning 30 July for five days. Set among 31 acres of a designated Local Nature Reserve, Boyle curates five days packed with science, art, comedy, music and film events. Themes of city, nature, death, love and survival will extend across the programming, with the filmmaker himself screening and discussing 28 Days Later in one of the two outdoor cinemas in the grounds. Other films in the woodland include Nic Roeg's groundbreaking Walkabout, followed by a Q&A; a 25th anniversary showing of Spike Lee's influential Do the Right Thing; an atmospheric projection of Jim Jarmusch's modern vampire flick Only Lovers Left Alive, followed by a guided bat walk in the cemetery; award-winning The Selfish Giant, followed by a Q&A with director Clio Barnard; Sarah Polley’s feature-documentary Stories We Tell and Lynne Ramsay’s highly accoladed 1999 debut Ratcatcher. The festival will host a comedy tent for the first time, with acts from British visual storytellers Men in Coats, BAFTA nominee Nat Luurtsema and Peep Show's Richard Sandling, while musical talents include French Parisian songstress Anne Pigalle, foot-stomping rag band Gertie and her Gaiety, Brighton grunge-poppers Flash Bang Band and brilliantly bonkers Perhaps Contraption. For a more adventurous experience, take a tour through the cemetery with the Hearing the Voices project — where five people will share their stories and experiences of 'hearing voices'. Or try a more scientific approach, and take part in a 'Living Autopsy' with pathologist Dr Preethi Gopinath. And if you're into health and recovery, then watch James Yeatman's Still III, a theatre production delving into social connections and the NHS. Delving deeper into the woods, you will find a death-defying circus show, Old Eastenders — Bow Geezers and Bow Belles — revealing stories of East London’s colourful past and an alternative village fete inclusive of an outdoor BBQ, car boot disco, toy hacking workshop, boxing workshop and pool party(!). Food options are not to be missed — look out for Le Cordon Bleu chef India Hamilton providing a feast of locally foraged ingredients for over 500 hungry attendees on opening night. Still not sure? Let Danny Boyle, a proud East Londoner, shed light on what separates this festival from others. "Shuffle is the most fun anyone can have in a graveyard in Mile End," he says. "It's going to be brilliant: outdoor film screenings, live music, a restaurant serving locally foraged food and a fantastic programme of science events. The point of the festival is to help build a stronger community in East London and campaign for permanently affordable housing in the area, so please do come on by." Fun in a graveyard laying claim to over 38,000 buried residents — why not? The festival takes place 30 July-3 August. Ticket prices vary, and are charged by an event basis. For the full line-up and programme costs, visit www.shufflefestival.com Seating is not provided so make sure to bring something to sit on, and of course to wear in case of rain.